One of the thousands of things that Jayadvaita Swami changed in the Bhagavad-gita As It is was the term “The Blessed Lord”. There are some misconceptions about this term in the society of devotees. Even some native English speaking devotees believe that the term refers to a scenario where the Lord is being blessed (endowed) with a certain thing or attribute by one of his devotees. Based on this misconception they consider the term “The Blessed Lord” as it is used in the Bhagavad-gita As It Is to be mistaken, and thus they support Jayadvaita Swami’s change to “The Supreme Personality of Godhead”. I am quite amazed that native English speakers are not aware that the term “The Blessed Lord” or “to bless the Lord” means something completely different. I am also amazed to see how they criticise the term “The Blessed Lord” without bothering to look for it’s meaning in a dictionary or online. To learn more about how the term is used we need to nothing more than search the internet. There are loads of answers. In Christianity is perfectly normal to say “The Blessed Lord” and “Bless the Lord” in the sense of praising, glorifying and honoring God. “There are two main things that we do when we bless the Lord. The first is synonymous with giving thanks and praise. Some translations actually say, “Give thanks to the Lord,” where others say, “Bless the Lord.” So, blessing the Lord is praising Him and giving thanks to Him—for blessing us! The other thing we do when we bless the Lord is to proclaim Him blessed. Here I think I’ll have to make a distinction between “blessed” and “blessed.” For clarity’s sake, this distinction is between “blessed” and “blest”—though I don’t really like that newfangled form of the word—the former in two syllables and the latter in one. The former is a state of being, the latter a consequence of something have been done or given to someone. 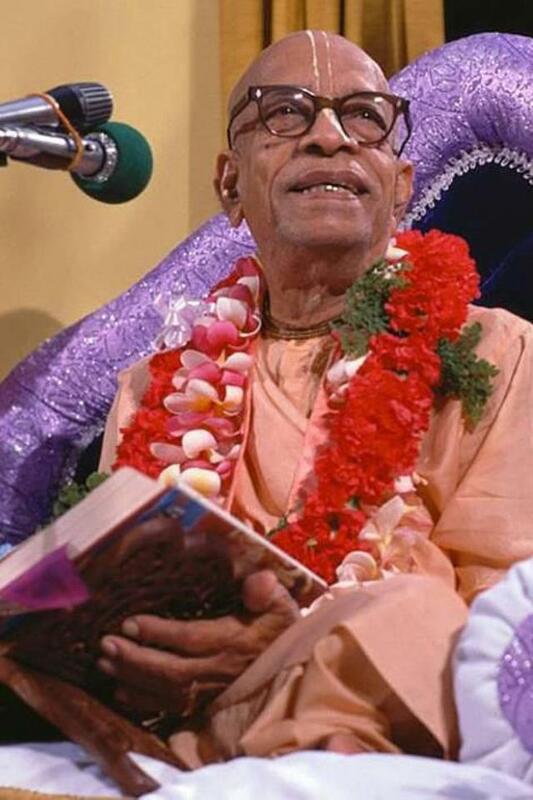 When Jayadvaita Swami made the change from “The Blessed Lord” to “The Supreme Personality of Godhead” he did not used the above mentioned misconception as a justification. Perhaps he knew there was nothing wrong with the term. He attempted to justify his change in another way. His attempted justification will be the subject matter of an upcoming article. I have just made an e-book consisting of most of my articles, letters, rebuttals, quotes, debates etc. from arsaprayoga.com. You will always be able to find the latest version in the e-book section of arsaprayoga.com.